An avid chamber musician, he has performed with the Gramado Woodwind Quintet (Brazil), the Alaria Chamber Ensemble (New York) and the Contemporary Music Group of Minas Gerais (Brazil). 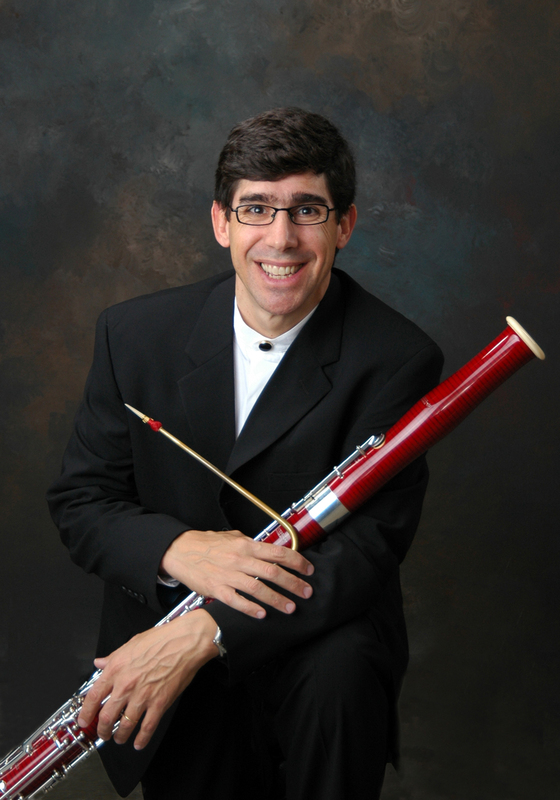 As a founding member of the Manhattan Wind Quintet, Mr. Coelho performed numerous recitals and concert tours throughout the United States. The group won various chamber music competitions including Artists International, Coleman, and Monterey Peninsula Chamber Music Competition. An enthusiastic proponent of new music, Mr. Coelho has commissioned, performed and recorded many works by European, American and Latin American composers. His recordings include, Bassoon Images from the Americas (2003), released by Albany Records; Bravura Bassoon (2005), Pas de Trois (2006) released by Crystal Records; and Explorations (2007), Dreaming in Colours (2011) and Agnus Dei (2012) all released by MSR Classics. The specialized media has continuously praised his recordings "...Ben has such a gorgeous sound, such impeccable technique, and such sensitive musicality, that it is a real pleasure to recommend this album very strongly to all of you!" (Ronald Klimko, IDRS Journal), "Coelho's program is an international affair that shows the range of colors and character that the bassoon can explore in tandem with string colleagues. His playing is unfailingly sonorous, expressive and alert, and he champions the pieces on this recording as if he believed in them without reservation." (Donald Rosenberg, The Gramophone), "Coelho is fantastic. His sound is brilliant, resonant, and strong, and he has a warm tone that blends superbly with the strings." (Schwartz, American Record Guide). As a member of the group Wizards! A Double Reed Consort, Coelho has recorded two CDs released by Crystal and Boston Records in 2000 and 2003 respectively. Mr. Coelho has written articles on bassoon performance and literature. His work has been published in the International Double Reed Society Journal, as well as the British Double Reed Society Journal. His article "Francisco Mignone and the Sixteen Waltzes for Solo Bassoon" has been translated into German, and published in the German double reed magazine ROHRBLATT. Before his position at the University of Iowa, Mr. Coelho was the vice-dean and bassoon professor at the Federal University of Minas Gerais (Brazil). He also worked extensively as a performer in his native Brazil, including principal positions with symphony orchestras in Rio de Janeiro, Campinas, and Belo Horizonte. In the United States, Mr. Coelho has played with the Waterloo/Cedar Falls Symphony (Iowa), The Camerata Chamber Orchestra (Indiana), The Bloomington Pops Orchestra (Indiana), The Bronx Opera Company (New York), and Orchestra Iowa. Currently, he performs as the principal bassoon with the Quad City Symphony Orchestra (Iowa/Illinois). Ben lives in Iowa City, IA, with his wife Karen and their wonderful daughters Liliana and Julia. This page was last updated on September 24, 2018 . Please contact us at music-webmaster@uiowa.edu if you need further information.